Toby and Hannah Butler have been appointed in joint leadership, and will begin at Cornerstone Church in June. We are currently looking for a Children And Families Worker - if you are interested, please contact us using the details on the right of this page. Whether you live near the church, or you are visiting the area, we hope our website will help to introduce who we are and give you a taste of what we do at Cornerstone Church, Bournemouth. Cornerstone is a growing church made up of people from many backgrounds. We have a common desire to serve Jesus in our community and through all we do. You may be asking all kinds of questions about the Christian faith, or you may have been a Christian for many years and seeking a place and people where you will grow. You can feel confident of a warm welcome at Cornerstone Church, and we hope we’ll see you soon. 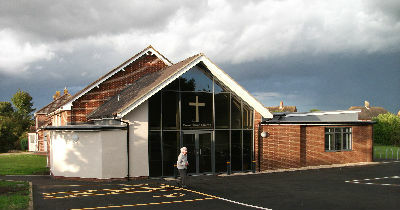 Cornerstone Church is Registered Charity no. 1163367.